Tea is such a big part of most of our daily meals, that we surely wouldn’t pause to consider whether the tea is actually genuine, or not. However, after you hear this story, you might have second thoughts about your favourite beverage from then on. 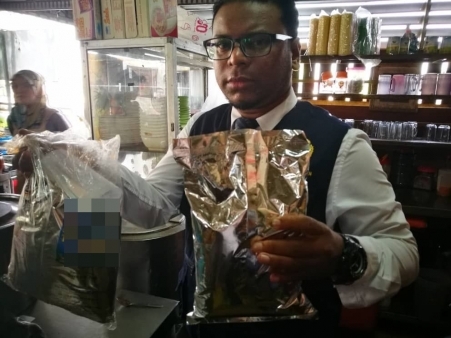 This morning in an unnamed stall serving Kelantanese food in Penang, the Ministry of Health (MOH) has uncovered a powdery substance that mimics the appearance of tea when mixed with water, but does not contain any actual tea leaves. The twist is, you won’t even need hot or boiling water to bring out the colour of the substance. However, once they are mixed in, the end result looks exactly like the real deal, Oriental Daily reported. 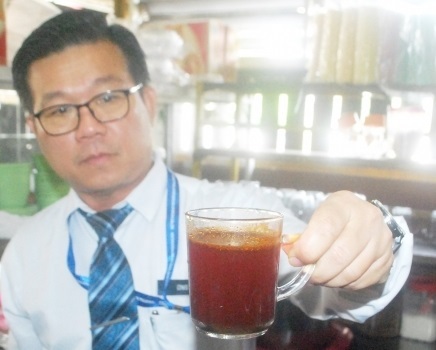 As such, MOH suspects that the powder is made up mostly of colouring, with some artificial flavouring thrown in to deceive the drinker. More suspiciously, the package that the powder comes in does not have a manufacturer label, making its origins highly sketchy. 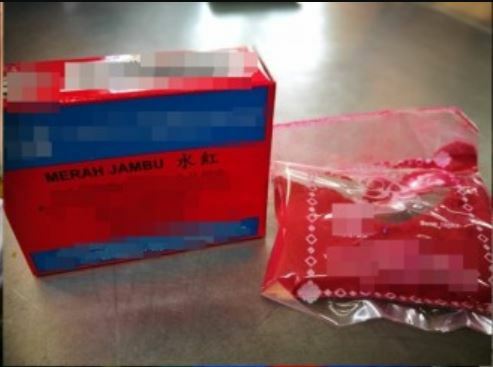 Upon further investigation, the MOH officers uncovered more mysterious ingredients that were unlabelled, such as other instant drink powders, curry powder and artificial colourings. They were confiscated on the spot by said officers, and will be sent to the laboratory for analysis. The stall has since been ordered to close down for 14 days. F&B business owners have been warned to be extra vigilant in the ingredients they used, and ensure that all ingredients come properly labelled. Otherwise, in the event that a problem arises and MOH is unable to trace the source of said ingredient, the ones using it in the first place could face punishment by law. So, that’s the hottest spilled tea of the day. Our trust issues are triggered all over again, but at least we know what to look out for next time we dine out! Hopefully this will keep other eateries from doing the same, and potentially endangering customers!